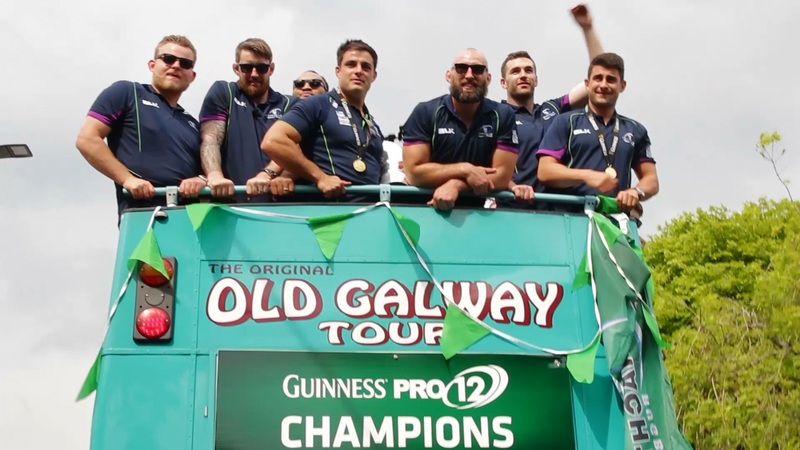 Connacht Rugby celebrating their victory with people of Galway City. Short clip we quickly put together to show the incredible atmosphere around town. No better place then #Galway !! Connacht Abu! !